Just yesterday, Vivo sent invitations to a press event in India scheduled for September 6. At the event, the company will be presenting its next-generation mid-range smartphone with a Vivo V11 fingerprint sensor. 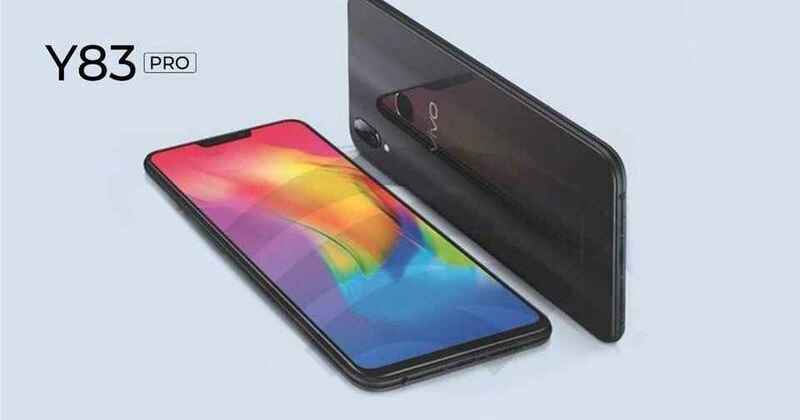 Before the launch of V11, the brand launched a new low-cost smartphone in the country, Vivo Y83 Pro. The device comes as the successor to Vivo Y83 (first impression), which was released in May this year. Coming to specifications, the Vivo Y83 Pro offers a 6.22-inch screen with a full notch, which contains the selfie camera and other sensors. The phone has a dual main camera configuration on the back, including a main 13-megapixel sensor and a secondary 2-megapixel snapper. For selfies and video calls, there is an 8-megapixel shooter. Vivo Y83 Pro was offered at a competitive price of 15,990 Rs. The phone is available for pre-order at the country's main traditional stores and will soon be on sale. Speaking of other specs, the Vivo Y83 Pro contains 4GB of RAM and 64GB of native storage, which can be expanded through a microSD card. The device starts Funtouch OS 4.0 based on Android 8.1 Oreo. Turn on the handset is a 3.260mAh battery. Unfortunately, we do not have information on the Y83 Pro SoC at the moment, but it must be a MediaTek processor.